I saw this statement plastered to the side of a metal container while walking down the street: “In Us We Trust.” I wasn’t sure what it was about, but after a little research, I discovered it’s a new song. How sad. “In Us We Trust.” Aren’t you glad that our coins are still imprinted with the saying, “In God We Trust?” Even if it isn’t true, it’s such a great statement. 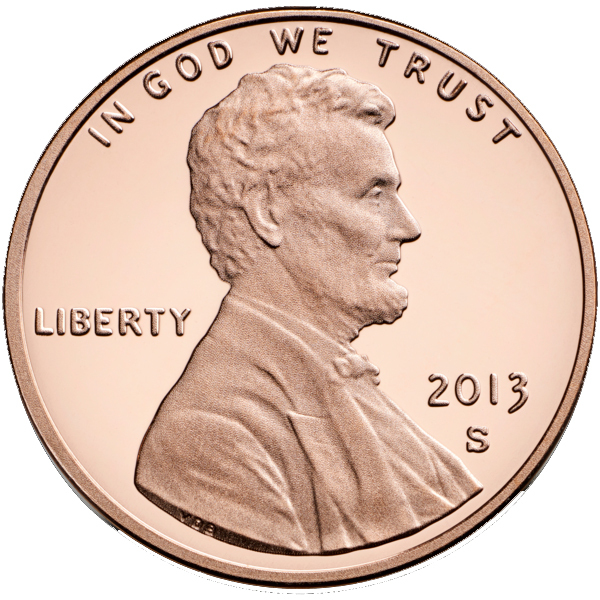 Every single coin that jingles in a pocket or is pumped into a washing machine slot says, “In God We Trust.” No matter if it is held by a man, woman, boy or girl, rich man or poor man, black, white Hispanic, or Asian, atheist or true believer—every single coin silently gives us the most wonderful news of the day: We can trust in God! Amen! Imagine if there was nothing more than ourselves to trust! Horrors! I lie! I’m unfaithful, undependable. I don’t know anything. I’m weak. I’m old! I’m so human! He has all wisdom. He is infinite. He is sovereign. He is holy. He is omniscient. He is omnipotent. He is omnipresent. He is faithful. He is love. He is self-existent. He is self-sufficient. He is just. He is immutable. He is merciful. He is eternal. He is ALWAYS good. He is completely pure and perfect. He is gracious. I trust His wisdom to do what’s best for me. I trust my soul to His infinite eternity. I trust every day to His sovereign plan for my life. I trust His holiness to be what is best for me to emulate. I trust His omniscient because I know so little. I trust His omnipotence to battle my fiercest enemy. I trust His omnipresence when I feel alone. I trust His faithfulness when other’s let me down. I trust His love when other’s love is conditional. I trust His self-existence when I feel so insignificant. I trust His self-sufficiency when I feel so inadequate. I trust His justice in this unjust world. I trust His immutability when life is on the fast track of change. I trust His mercy when things seem so wrong. I trust His eternality even when I can’t comprehend it. I trust His goodness every moment of the day! I trust His purity and perfection when I am tired of this world’s wickedness and my own sin. I trust His grace when life gets too hard. Oh, I’ll sleep well tonight knowing that I have such a God to trust!